Do I need to have a piano to start piano lessons? How should my child practice? Our son came to Rosie not knowing how to read the music notes even though he had previous piano lessons. The previous teacher thought since he is autistic she would... read moreOur son came to Rosie not knowing how to read the music notes even though he had previous piano lessons. 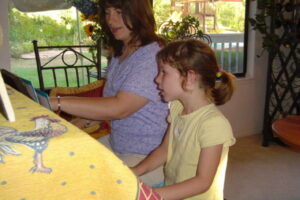 The previous teacher thought since he is autistic she would just taught him by ears, number and memorization. 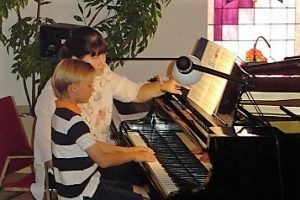 Within 3 months under Rosie, Nathan was able to read notes and progressed so fast that Rosie was confident to let him participate in the recital. That was two years ago. Nathan loves coming to her lesson, wouldn't skipped even when he was under the weather. There is never pressure from Rosie to be perfect. The best part of Rosie is that she doesn't see Nathan as a disabled child and teaches him like she would teach a normal kid. Very gentle with the children! 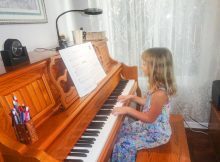 My kids really like her and love playing the piano because of her! 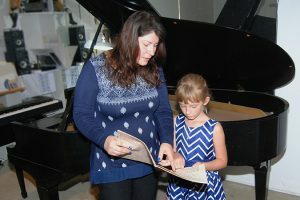 Is My Child Ready to Start Taking Piano Lessons?